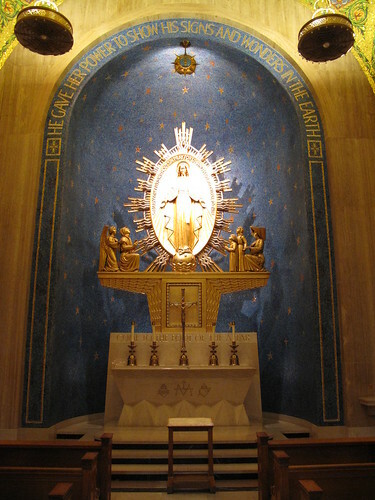 That strange Mass produced by the Council in 1965, an interim liturgy somewhere between the Usus Antiquior and the Novus Ordo, was often accompanied by a distinctive style – at once traditional and fresh, what has been called by some “The Other Modern.” Think of the decoration of the National Shrine of the Immaculate Conception in Washington, D.C – especially its many side-chapels. Think of the delightful, dignified, but very vernacular liturgical music of Fr. Clarence Rivers (at least his early material). 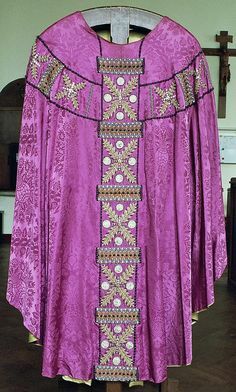 Think of the ornate but often geometric vestments that emerged from that time. 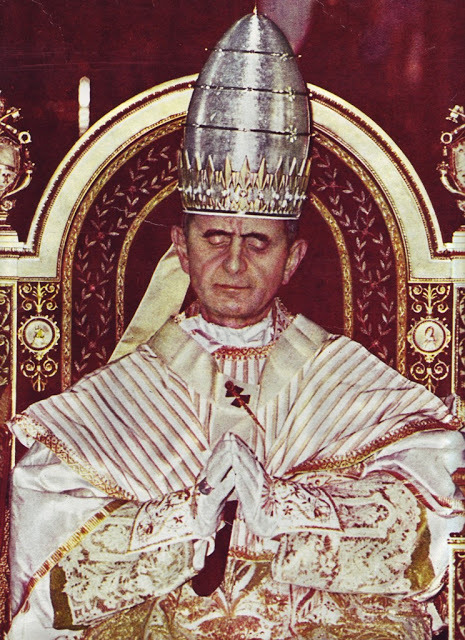 Indeed, just think of Paul VI’s space-age papal tiara. Recently I discovered a reminder of this strange time in the Church’s history. I was watching a 1968 movie called If… with friends. It’s a disturbing (if artful) film about an uprising at a traditional British public school, and was clearly made in conversation with the student protests that erupted that fateful Spring, fifty years ago. I was surprised to find that one of the major musical motifs was liturgical. Looking it up, I discovered it was the “Sanctus” of the 1965 Congolese Missa Luba. The song is in many ways a synecdoche of the 1965 rite. It starts off with on French Gregorian foot, quickly introduces drums, and ends with an extremely Congolese bit of improvised singing. And, it must be said, it’s very beautiful. The poignant song, coming from a country and Church in turmoil, strikes me as emblematic of the crushed hopes of that era. So much was anticipated of Congolese independence, so bitterly contested in the five years since. Already, the forces of reaction were coalescing around an upstart colonel who would soon assume control of the country as its first home-grown dictator, Mobutu Sese Seko. And in the Church, those reformers who genuinely tried to bring about a more perfect sense of the divine in the modern world found their position betrayed by a coterie of unorthodox radicals who perverted the sense of the Council’s documents. Yet we can still hear that bright, fleeting moment of hope in the voices of the Congolese joining their praises to those of the angels. UPDATE: It has been pointed out to me, correctly, that I have erred in attributing the Missa Luba to 1965 proper. The Mass setting was actually first recorded in 1958. It was in 1965 that the first US release of the album came out. So I suppose that, insofar as we consider its Western reception, the Missa Luba does remain part of the 1965 liturgical landscape. And “The Other Modern” certainly existed in the 1950’s; the aesthetics of 1965 were the culmination of a few decades’ of development. The name of the choir itself bespeaks the naive optimism of the era. That said, I have always looked upon the Missa Luba as a good example of inculturation. 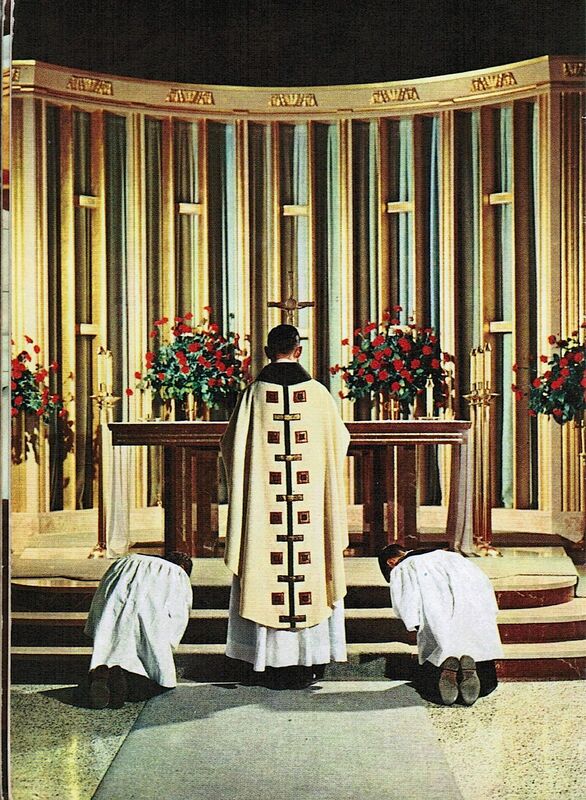 There is currently a Form of the Mass that occupies a place somewhere between the Usus Antiquior and the Novus Ordo. That Form recovers and asserts the direction of renewal actually called for by the Council. Attributes of that Form include glorious prayers in hieratic English, chant (both English, and frequently Latin in many communities), magnificent hymnody and polyphony, ad orientem worship and much more. What is that Form? Divine Worship: the Missal—the Mass of the Personal Ordinariates established by Anglicanorum Coetibus, issued by Pope Benedict XVI. As one who has served as a choir director in both Novus Ordo and Usus Antiquior parishes for some 28 years, I have come to appreciate that—since joining a community of the Personal Ordinariate of the Chair of Saint Peter, and now an Instituted Acolyte responsible for serving in the Mass—Divine Worship is a living and true via media (middle way) not merely between but uniting the Extraordinary and Ordinary Forms of the Mass.